In the past two weeks, the markets have been choppy. One moment it seems that prices are tumbling; the next moment, they seem to recover. And then some new earnings reports come out and prices decline again. It would be nice if the markets were a little more predictable. If you know how to anticipate what will happen next, though, you’ll make a killing from the volatility. Doing so, however, means that you must go your own way rather than follow the masses. 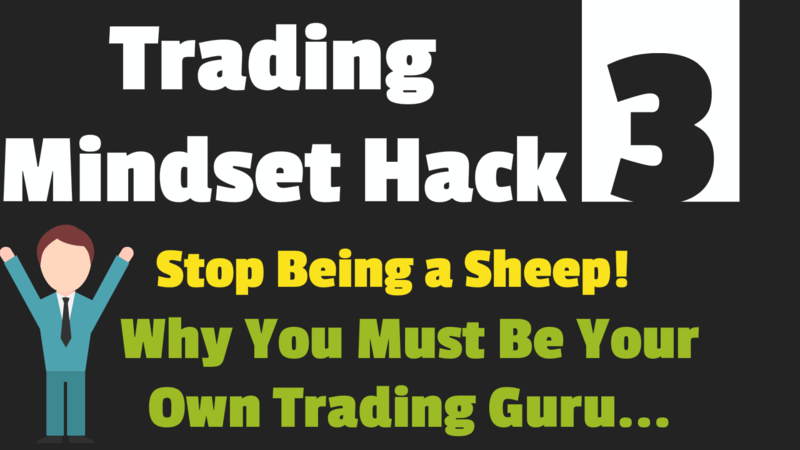 It may make you feel better to trade with the masses, but many times it doesn’t make sense. The crowd often seems to be acting impulsively out of fear and greed, and losing money in the process. But there is a powerful motive to conform, even when it isn’t to our advantage. All humans have a natural tendency to follow the crowd. There is safety and comfort in numbers. The masses offer confirmation, and it’s nice to have the sense of reassurance that the confirmation of the masses offers. Following the crowd is comforting and adaptive most of the time, but there are times when the crowd is wrong. Sometimes, conforming to the crowd means that you are giving money to a select group that is controlling the flow of information. In order to make the most profits, you must try to be ahead of the crowd, but that can be difficult to do. Most successful members of society have seen the virtues of following the crowd. They have learned to look for rules to follow and to decide which standards to strive for. In school, for example, it was to our advantage to follow the rules. Blind obedience to authority may not be beneficial but compromise is. To be successful, it is often necessary to stay within the bounds of acceptable behavior. So although following the crowd has disadvantages, it’s important to acknowledge that it is often adaptive. In the markets, it is sometimes useful to “follow the crowd” as well. For example, for long term investing, it is wise to put your money in stocks that don’t have a great deal of volatility and by all indications, have solid fundamentals that will push the stock up consistently for several years. If a large enough “crowd” believes strongly that the company will produce profits for decades, it would be to your advantage to follow them, if you want a safe investment. So following the crowd isn’t bad all the time, especially for those who don’t like risk. On the other hand, if you are a short-term trader, you aren’t looking for safe investments. You are looking for volatility, necessary risk, and a good chance for making a big profit. Most of the time that means going your own way. It requires that you think outside the box, guessing what the crowd will do next, and anticipating how the movement of the masses can benefit you as a trader. The key is to know when to follow the crowd and when to go against it. The crowd is usually right, until a turning point occurs. When virtually everyone has taken the position that the market is headed in a particular direction, there are few traders left to push the trend further. At that point, a counter-trend initiates and moves the market in the opposite direction. The challenge is predicting when that turning point will occur, anticipating it, and developing a trading plan to capitalize on it. Now, this all sounds easy in theory, but in practice, it is difficult to implement a trading strategy to capitalize on this cycle. How can one predict the turning point? Some say it is almost impossible. All you can do is develop a sound method that works most of the time but also admit that it may fail. Whether you use technical indicators or you are lucky enough to use the media news to your advantage, you must temporarily have full confidence in your method, put money on the line, and act decisively. Sometimes thinking independently is lonesome and scary, but in order to be on the winning side, you have no other choice but to go your own way.